Today would have been the 77th birthday of poet, playwright, writer, filmmaker, director, civil rights activist, and educator, Kathleen Collins. I am taking time to insert her into my repertoire because she was the first black woman to direct a feature-length drama. Collins paved the road for Julie Dash. Commonly, Julie Dash is given credit for being the first black woman to direct a feature length film. Influenced by the works of playwright, Lorraine Hansberry, Collins’ work centered around African Americans as human subjects and not as mere race subjects. This being a clear indication to her black feminism work in film and activism against vilified images and stereotypes. As I journey on this path of shifting, reflecting and altering my personal perceptions of my artistic work in literature, I am “inserting” the names of black women who may exist prominently in the shadows. May their names and work re-join the rain dancers and roux makers of black women creators. Last few days to submit! Years ago I decided I would not never become a teacher. I envisioned it as confinement. I am a creature of routine BUT I do not want one imposed on me. I always saw being an educator as someone who was doomed with routine and rewarded with low pay. That was not the life I wanted to live. 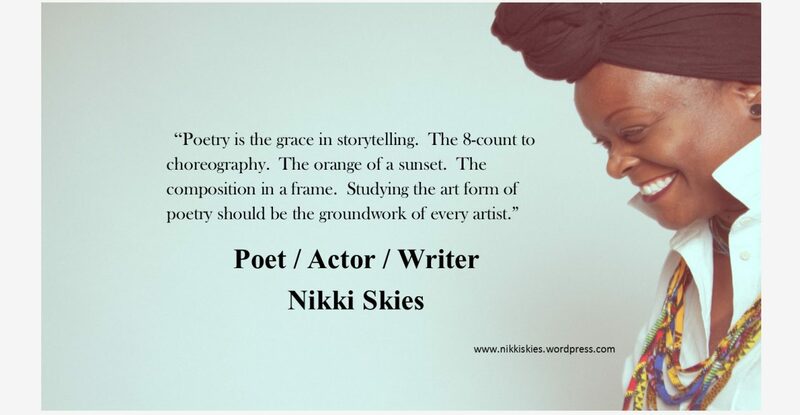 As time and the ancestors would have it, my poetry created a platform for me to engage my art at colleges and universities. Not just as the “entertainment” but additionally as an educator to young writers on the importance of preserving the black vernacular. My art eventually evolved to focusing on the feminine narrative. Encouraging the black feminine voice expressed and written from a holistic perspective and not just as a presence to move a plot forward. These discussions exposed two things, (1) I had more questions than answers and needed to do more research to educate myself (2) I was pretty good at this teaching thing. My community knows me primarily as a performance poet and from the theatre. Both of these creative platforms allowed me to express undivided and intellectually intact. I had the company to be beautiful and the security to laugh at myself and others. As I immersed myself more with the writing community, plays and novels, I felt absent- invisible even. I was stifled with this feeling once before when I studied film at Howard University for my M.A. In screenplay writing, I didn’t have the company of voice, meaning the character written or represented on film, was not a bridged visualization of my existence as a woman. A black woman, a woman of color living in this country. My questions about the presence or the acceptance of what was represented as the black feminine narrative, now became a plaque of concerns. 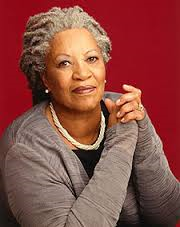 That was until I got my hands on Toni Morrison’s “Playing in the Dark: Whiteness and the Literary Imagination”. Angela Davis is a political activist, academic and author. She emerged as an activist in the 1960’s in northern California with the Black Panther Party. The thing that I personally admire about Angela Davis is her willingness to grow and learn. Many of her contradictions have come from her speaking on new learnings where there hasn’t been a language for Black women. Therefore I don’t view these as contradictions, she was creating a language along the way. She was shifting point of views and stand points. And she continues to do so. I have heard her speak several times. Once she mentioned that growing up in Birgmingham, Alabama she was friends with two of the girls now infamously known as “The 4 Little Girls”. I can only imagine that her critically thinking mind began back then. Happy Birthday Angela Davis! Thank you! What Are The ZORA!™ Festival’s Goals ?